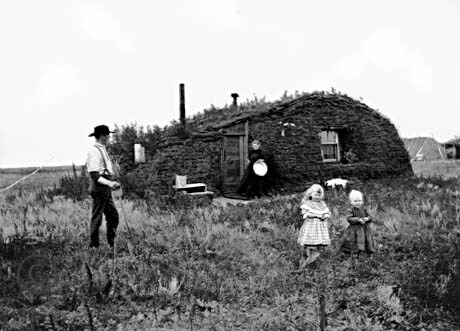 Since living persons cannot be represented on US stamps, the children were blocked out by a haystack. Ironically however, John Bakken was still alive at age 92 when the stamp was issued. This photograph was also used by Norway on its postage stamp in 1975, to commemorate the sesquicentennial of Norwegian emigration to America. The children were left in the picture for this stamp, rendering a more accurate image of the original photograph.